Say Easter and, for many, chocolate eggs are the first thing to spring to mind. Not everyone is a chocoholic though and some cannot eat chocolate because of its dairy content. For lots of us the memories of the sweets we enjoyed as children are capable of transporting us back to the hazy, lazy days of our childhood where happiness was pear drops, cola cubes and four Fruit Salad or Black Jack sweets for a penny. 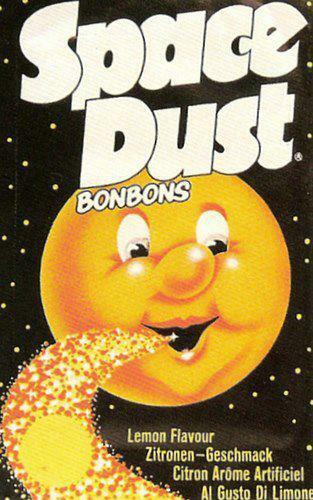 Then there were Sherbert Dabs, Space Dust that crackled on your tongue, Spangles and Blobs. It’s a definite sign of getting older when you remember sweets being much bigger. What about Cadbury’s Amazin’ Raisin Bars? Snickers Bars were Marathons and M&Ms were Peanut Treats and Toffee Treats. Endless jokes abounded about the coffee or orange ones in a bag of Revels – the ones that were always the last to be picked. There were also fruity Polos and Trebor Extra Strong Mints were so strong that they could make you sneeze. 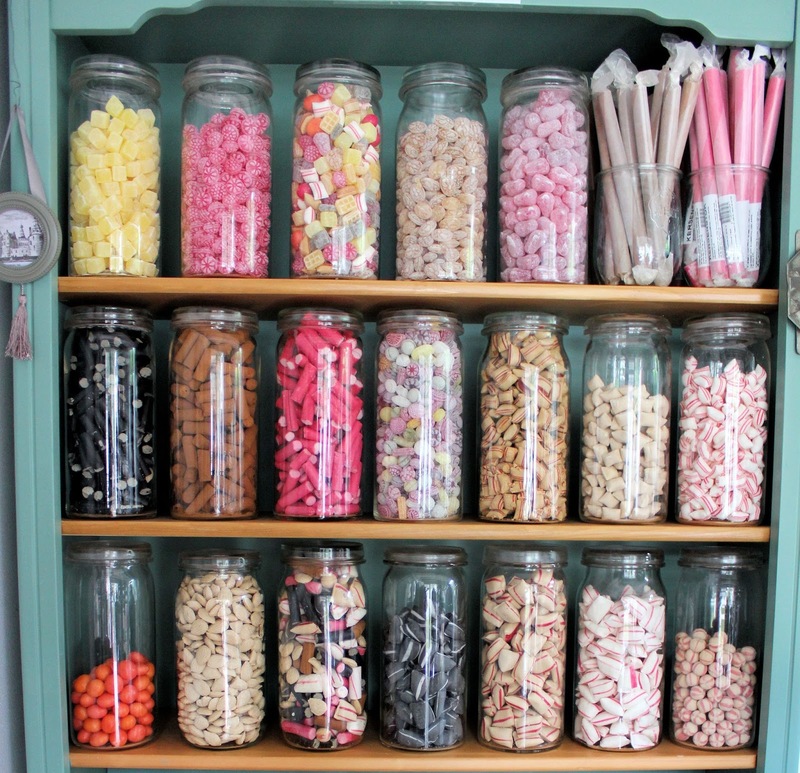 In fact the old fashioned sweet shops had row upon row of sweets jars and they were sold by the quarter pound in small white paper bags. In those days you had more sweets than packaging. My first job was as a Saturday girl in F. W. Woolworths on the makeup counter which was situated just behind the legendary Pick ‘n’ Mix counter. Nobody particularly worried about the sticky sets of fingers helping to ‘test’ the various types of sweet. You could even buy broken biscuits by the pound and a peanut and raisin mix (the ‘healthy’ option!). 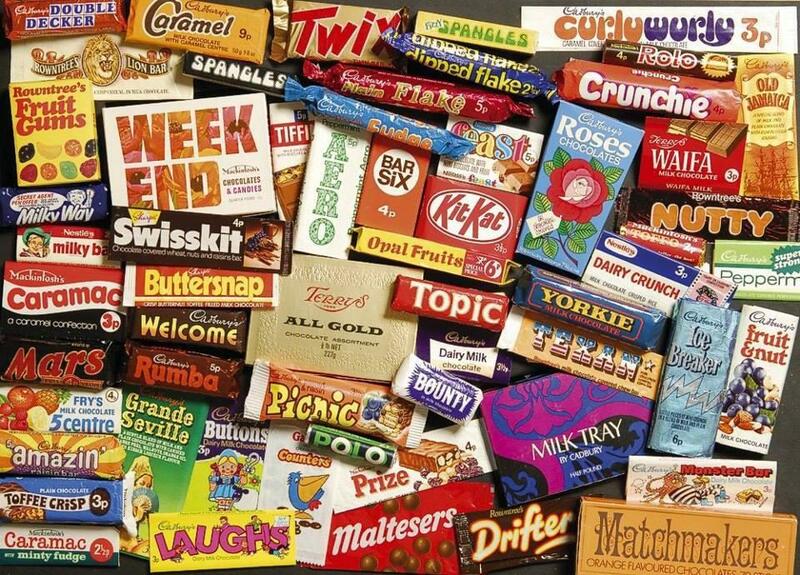 Incidentally, if you would like to wallow in confectionery nostalgia, there is even a Facebook Group – Sweets of Yesteryear where you can revisit the sweets of your youth – or at least pictures of them. And it’s not surprising that Roald Dahl‘s Charlie & The Chocolate Factory remains an all time classic. I can still remember the thrill of Charlie finding the last golden ticket in his Wonka Bar. It’s certainly a story that keeps Caitlin and Ieuan transfixed. What about Everlasting Gobstoppers, Luminous Lollies for eating in bed at night, Mint Jujubes and Hair Toffee? Here’s hoping you get some sweet treats this Easter! "Fallen Out Of Love With Yourself? Here’s How To Change That!" "Things I Wish I’d Known About My Intimate Health When Young"